A mammoth in an Egyptian painting? Surely not—haven’t we been told in textbooks that mammoths definitely died out some 9,500 years ago? The fact is, however, that at least a dwarf type of mammoth must have been around some 1500 years before Christ, even by conventional dating. The author points out that Egyptian artists were skilled at life-like depictions of animals from which one could scientifically identify them. He thus identifies the bear in the picture as a sub-species of Ursus arctos. Although it is possible that the representation is of a pygmy version of the mammoth, since the man is carrying tusks on his shoulder, he says it is possible that the animal could be ‘symbolic of the ivory’s source rather than intended to be an accurate representation of its size’. This would indicate that the artist likely knew what living full-size mammoths looked like. When I brought the photographic evidence to the Cairo museum in Egypt, the authorities had never thought of the implications of a mammoth painted on the walls of an Egyptian tomb. This sort of find adds weight to the many other items of evidence (such as rock drawings of dinosaurs4) which indicate that the dates attributed to the extinction of many well known creatures have been substantially skewed by evolutionary/long-age thinking. The real history of the world, according to the Word of God, would indicate that all such extinctions—even the Ice Age5 itself—occurred in the last few thousand years. Dennis L. Swift, B.A., M.A., M.Div., Ph.D., has been actively engaged in ancient Indian archaeological research and biblical archaeology. His articles on dinosaurs and man have been published in Russia and he has lectured in Russia as well as appearing on Russian television. He is currently pastor of Beaverton Nazarene Church in Beaverton, Oregon, USA. Return to top. The Rakh-Mara tomb is one of the largest of the 18th Dynasty. He served under both Tutmose III and Amon Ofis (Amenoptis) II. Bonechi, All of Egypt, Centro Stampa Editoriale Bonechi, Florence, Italy, p. 92, 1995. B. Rosen, Mammoths in ancient Egypt? 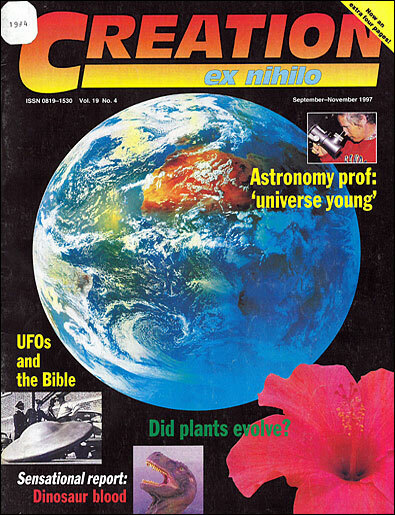 Nature 369:364, 2 June 1994. S.K. Eltringham, Elephants, Blanford Press, Dorsett, pp. 237–238, 1982. D. Swift, Messages on Stone, Creation 19(2):20–23, March–May 1997. For a good perspective on the Ice Age, see Tackling the Big Freeze, Creation 19(1):42–43, December 1996–February 1997. The same issue has photos (pp. 10–13) of living elephants with classic mammoth features.